Posted on June 18, 2011 February 6, 2015 . by Patrick Johnstone. ???????? ?During the recent Royal City Farmers Market fundraiser at the Heritage Grill (great time again, you guys! ), I had a short chat with Councillor Lorrie Williams. Somehow the conversation gravitated to Tree Protection Bylaws This is a topic that has come up several times at NWEP meetings over the last couple of years, and the NWEP members who serve on the City’s Environment Advisory Committee have mentioned that it arises occasionally at their meetings. 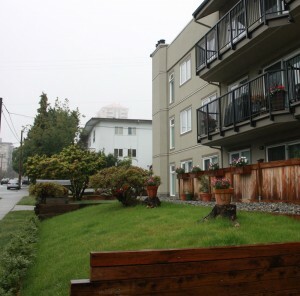 There are a few people in New Westminster who have been advocating for this type of protection in recent years, Bill Zander amongst the most persistent. But there has been a push-back from City staff (mostly around cost and logistical issues- admittedly there is not much point having a bylaw if they cannot enforce it!) and even from a few members of Council. An historic beech tree in my neighbourhood. I had a conversation at one of the fall’s TransLink open houses with another Councillor (who shall remain nameless to protect the cornered), and the topic of laneway housing came up. (S)he was concerned about the loss of green space, rainwater infiltration, etc., that might result if we overbuild our single-family lots. 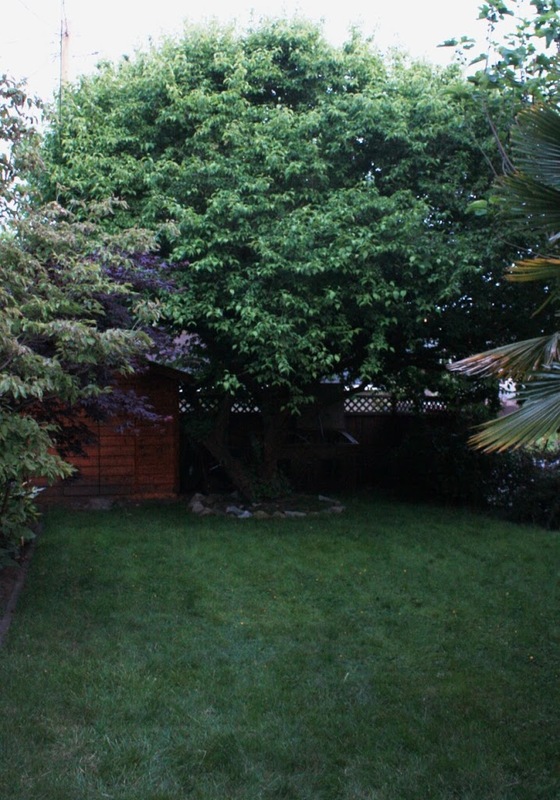 I agreed and suggested we shouldn’t allow laneway housing until we have a strong Tree Protection Bylaw. The Councillor’s response was to take a bit of a double-take, then bemusement that I had trapped the Councillor that way. (S)he then offered a rather meek “we have lots of trees”. The conversation ended shortly after. 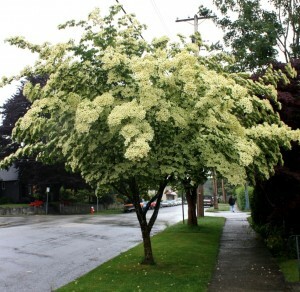 The beustiful dogwood in front of my home. So I was pleased to hear that Councillor Williams has decided to bring this topic back to Council, and I decided to delegate to Council on the topic on Tuesday. No cameras were there, so I thought I would relate what I said for the record here. Note that at Council, and in the excerpt below, I am speaking on behalf of the NWEP. The message below reflects the conversations the NWEP membership had at meetings, and the Directors of the NWEP unanimously approved my presenting this address to Council on behalf of the Group. Pretty much everything else you read on this Blog is my personal opinion, and is not necessarily the opinion of the NWEP or its members. Just so we are clear on the distinction. 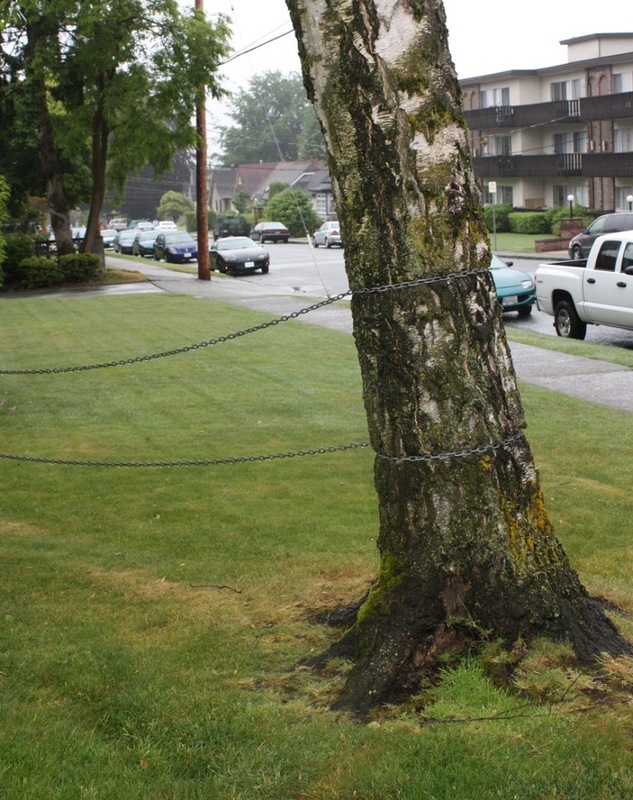 The NWEP have discussed the issue of Tree Protection at length, and at our most recent meeting, agreed that a Tree Protection Bylaw for New Westminster was timely. On many environmental, social and economic sustainability areas the City of New Westminster has taken a leadership position. However, this is an area, the protection of trees and our Urban Forest, where we have unfortunately been laggards. 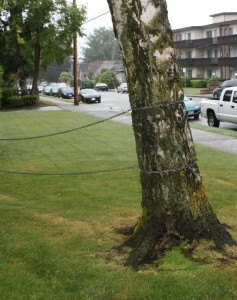 Tree protection bylaws of varying strength are already in force in Vancouver, Burnaby, Surrey, Richmond, Delta, WhiteRock, North Vancouver , Coquitlam, Port Coquitlam, Port Moody, Maple Ridge, the Township of Langley, Victoria, Saanich, Nanaimo, Toronto…..well, the list goes on across the province, and across the country. These bylaws vary in both their protection measures and the complexity of their implementation, but it is clearly within the Municipality’s authority to prohibit or regulate the cutting or damaging of trees, or to require that trees be replaced. Further, they all take into account the hazards caused by dangerous or diseased trees, and many designate significant areas (such as riparian areas around streams) or specific species or trees of historical value for special protection. Many use permit structures to become revenue-neutral. I guess the point is we are not reinventing the wheel here, nor are the NWEP asking for New Wesmtinster to be an exception. . Tree Protection Bylaws are becoming standard practice in Canada. The reasons Cities are establishing these bylaws are varied. Some Cities are rapidly developing and are concerned about habitat loss and the wholesale removal of forests at their edges. Others are concerned about greenway preservation and riparian protection for salmon-bearing or other ecologically-important streams in their districts, or are worried about slope stabilisation in hilly terrain, or establishing green buffers between zoning changes. 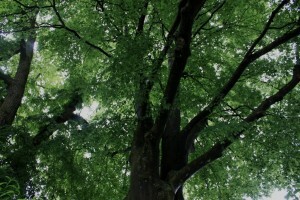 However, most Cities simply recognize that trees play multiple roles in the 21st Century city. They shade buildings to provide energy savings; They buffer urban noise to make for a more peaceful environment; They filter CO2 and particulates out of the air while providing oxygen and acting as both humidity and temperature stabilizers in extreme weather; They absorb rainwater and reduce the load on stormwater drainage systems; They provide habitat for songbirds and other wildlife; They block light pollution and soften the “sharp edges” of a built-out urban environment. There is some evidence that trees actually prevent crime! Here in New Westminster, trees provide all of these benefits, but additionally, we have our own specific reasons to have a very protective bylaw here. As one of western Canada’s most historic cities, it seems remarkable that we do not have a firm law protecting these historic landmarks. In my Brow-of-the Hill neighbourhood, there are several exceptional and well-preserved century-old trees. The loss of these remaining giants would be a loss for the entire community – but it is only to good grace of the current owner that protects this important natural heritage. Unfortunately, these examples are becoming fewer and far between as multi-family dwellings and densification have eroded our tree inventory over the last 50 years. 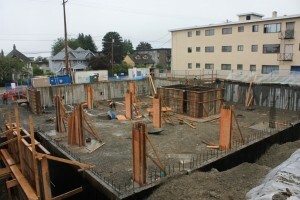 Development puts pressure on the Cit’y tree inventory. ?And densification is clearly the way of the future. With New Westminster a signatory to the new Regional Growth Strategy, it is clear that New Westminster will become a more “compact” Regional City Centre, in order to accommodate the extra 40,000 people projected to live in our City by 2041. With this densification, the pressure will be on to replace single lots where our trees need protection the most with townhouses or multi-family dwellings and the normalization of laneway housing. Make no mistake, I think these changes can be a positive thing for building a more energy- and transportation-efficient housing stock, and are imperative if we are to build a more durable and sustainable community. However, these changes raise significant concerns about the preservation of remaining natural greenspace, about managing rainwater infiltration so we don’t overwhelm our stormwater infrastructure, and yes, maintaining the myriad benefits of trees. A Tree Protection Bylaw will not solve all of these problems, but it is an important first step to assuring the next generation will receive the same environmental, social, and economic benefit from tress that we do. Trees are often removed to “improve property”, with no need to replace them. Note three trunksin this pic that were large fir trees a year ago. This lot on 8th Street used to have two single familty houses, and trees. 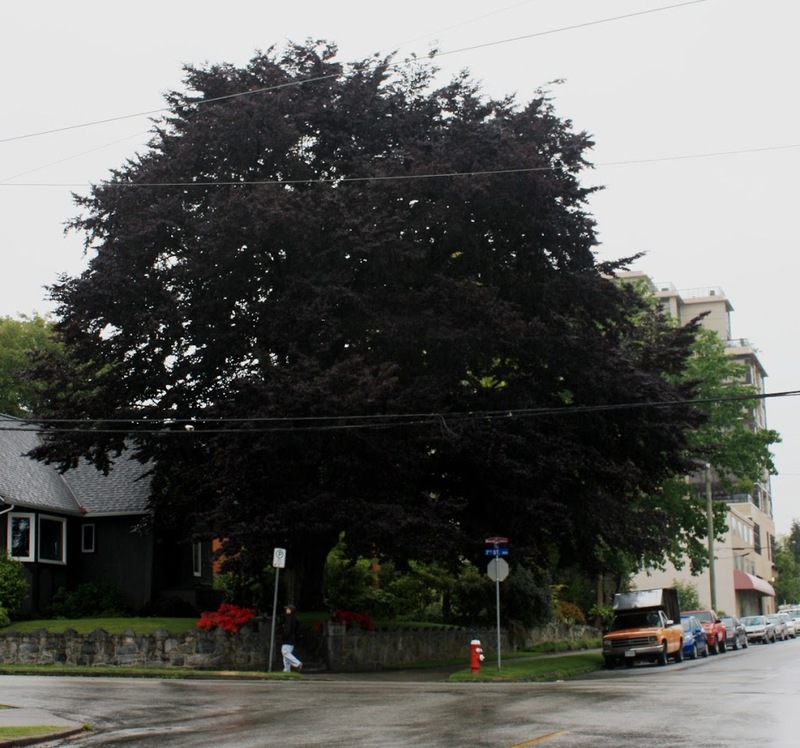 For these reasons, the NWEP believe that the time is now for a protective tree bylaw in New Westminster, and we call upon City Council and staff to work towards developing a Bylaw that suits the City’s specific tree protection needs. After my presentation, the Councillors asked a few questions, but seemed very receptive to the idea. Mayor Wright seemed the most cautious (his standard “we need to consider many things here….” line), but I did emphasise that there ware lots of resources available on line and through inter-governmental discussion groups, there are many Cities that have these bylaws, and I have confidence that City Staff can find the right mix of protection for the City. I also offered any help the NWEP could provide in researching tree bylaws, and in helping with public education campaigns about the value of trees in our urban environment. The motion received unanimous support of the Council (Councillor Harper not present). This decades-old cornellian cherry dogwood dominates my back yard, but it isn;t going anywhere on my watch. Solution: Put the scientists in jail.